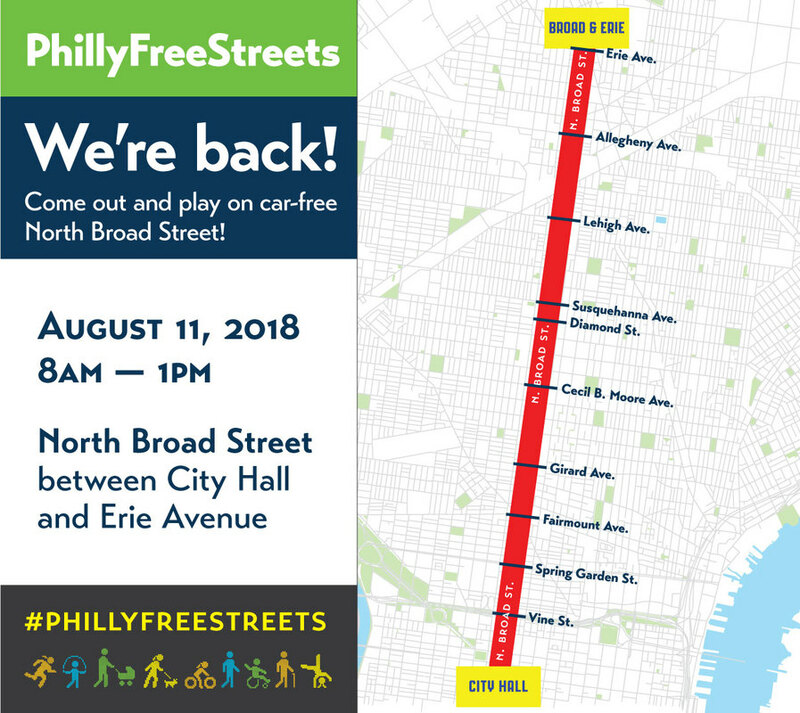 Philly Free Streets is Back! Philly Free Streets is a people-powered movement of the City of Philadelphia. Philly Free Streets temporarily closes streets to cars, inviting people to walk, bike, and play. This year, North Broad Street will be closed from City Hall to Broad and Erie. Philly Free Streets is managed by the City of Philadelphia’s Managing Director’s Office of Transportation & Infrastructure Systems. To learn more check out their website here.